Note: Ten self-governing territories for different black ethnic groups were established as part of the policy of apartheid. Four of which were granted "independence" by South Africa (recognized only by South Africa and each other). These former South African Homelands or bantustans ceased to exist 27 Apr 1994 and were re-incorporated into South Africa, and all were absorbed into the new provinces. 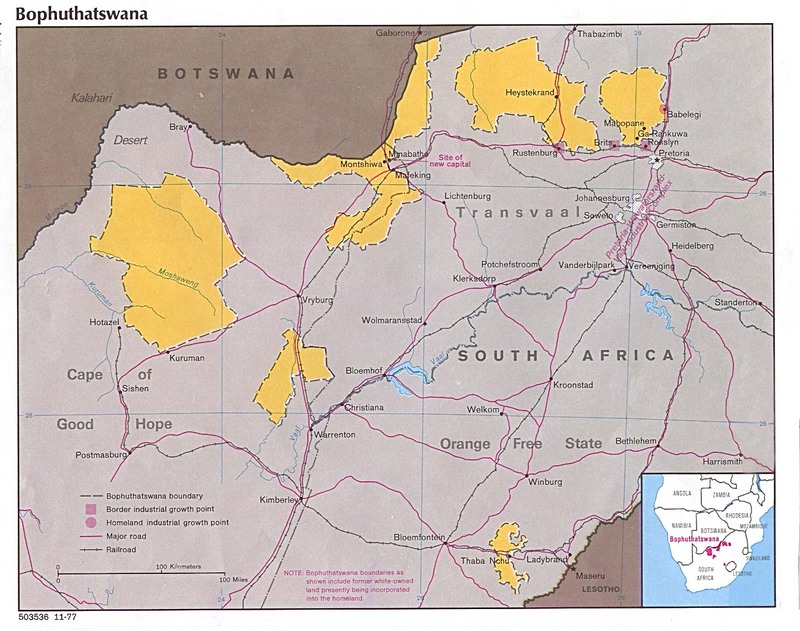 21 Apr 1961 Tswana Territorial Authority established. 1 Jun 1972 Self-government granted. Africa and the other homelands. 13 Mar 1994 - 26 Apr 1994 Occupied by South Africa. 26 Apr 1994 Re-integrated into South Africa. 24 Mar 1961 Ciskei Territorial Authority established (to 1968 see Transkei). 1 Aug 1972 Self-government granted. 22 Mar 1994 - 26 Apr 1994 Occupied by South Africa. 1 Feb 1973 Gazankulu (self-rule granted). 26 Apr 1994 Re-integration into South Africa. 1 Oct 1976 Swazi Territorial Authority established. 18 Jun 1982 - 9 Dec 1982 Homeland status suspended. 31 Aug 1984 Self-rule restored. 7 Oct 1977 South Ndebele Territorial Authority. 1 Apr 1981 Self-rule granted. 12 Aug 1986 Legislative Assembly rejects independence scheduled for 11 Dec 1986.
independence. However, South Africa requests a referendum be held. 29 Mar 1988 - 26 Apr 1994 Moutse district (added 1986) administered by South Africa. 1 Feb 1977 Self-rule granted. 2 Oct 1972 Self-rule granted. 24 Apr 1969 Basotho ba Borwa Territorial Authority established. 1 Nov 1974 Qwaqwa (self-rule achieved). 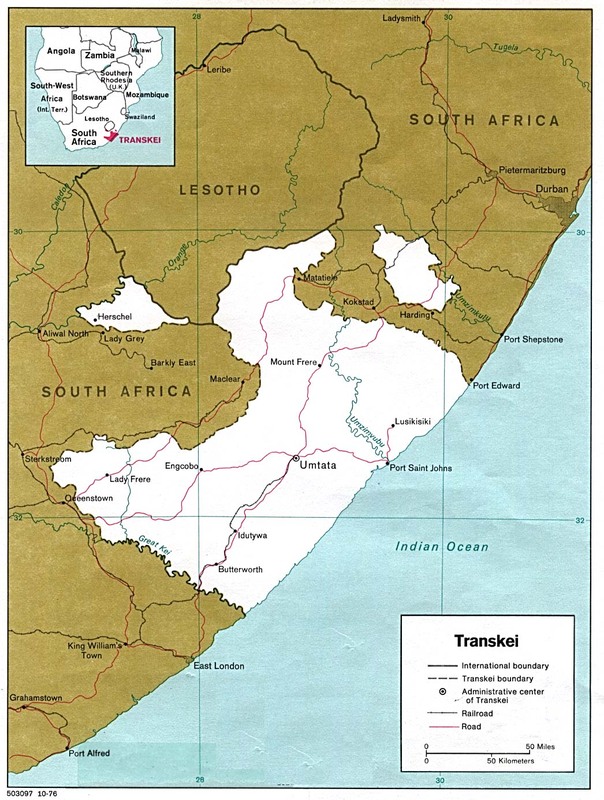 24 Mar 1961 Transkei Territorial Authority established. 30 May 1963 Self-government granted. 1 Feb 1973 Self-government achieved.